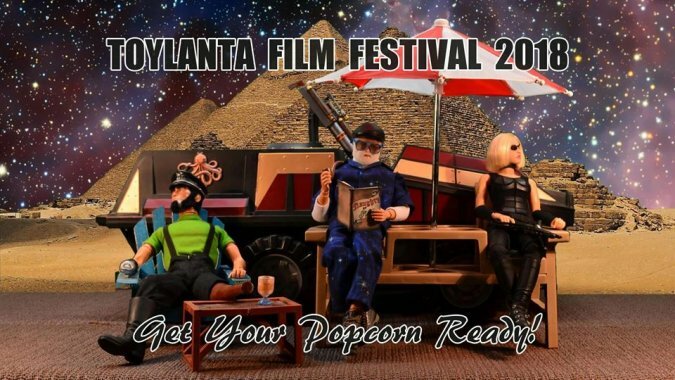 Another one of the highlights of ToyLanta is the film festival, which has been curated and presented by Tim and Lisa Weedn for the last few years. They also provide the “main event” each year, which is the debut of their latest Studio Joe production. This year it’s their biggest film to date, “Toys Will Be Toys,” and it’s filled with the cosmically-aware slapstick comedy and cool animated toys that we’ve come to expect. 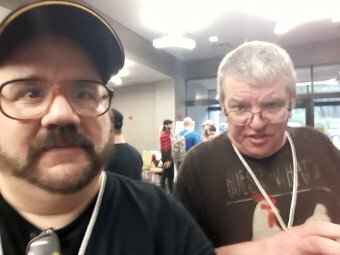 You can watch it above, but make sure to go back in time and travel to last weekend in Atlanta so you can watch all the films that Tim and Lisa discovered. This time around an undercover agent is trying to apprehend Chugga Lugga, who is alleged to not be a naturalized citizen of this planet. But the poor little guy means no one any harm, and only wants to eat his beans in peace. Astronauts and Interdimensional Pirates show up, and there’s a beautiful non-sequitor interlude about potatoes, so you know it has to be good. The potato song is courtesy of G.B. Hetrick and his band, Motel Jesus. Right at the end of ToyLanta Tim hunted me down for a photo. We’re both worn out after so many days of cool toy overload, and I’m still trying to figure out how to take a selfie without looking like I’m trying to figure out how to take a selfie, but that’s us to the left. Hanging out with Tim is always a blast and one of these days we’ll figure out a way to collaborate on a project somehow. Next up in PopCult (probably early Friday) I’ll have photo essays showing off what I got, how cool the dioramas and custom figures were and a quick look around the dealer’s room. Tomrrow’s PopCulteer will be an obit for Toys R Us, with just a teensy glimmer of hope. Thanks, Rudy. Always a blast partyin’ with you and Mel. Wow, man!! Thanks so much for the shout out! Good stuff, sir!